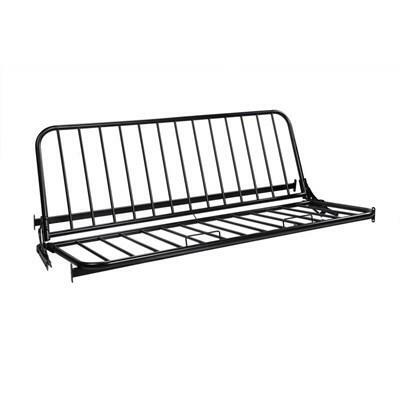 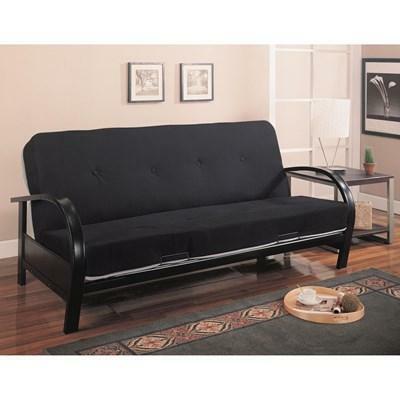 This transitional Coaster Furniture futon features a satin frame with an arched armrest wrapped in black upholstery, has metal legs and a metal frame. 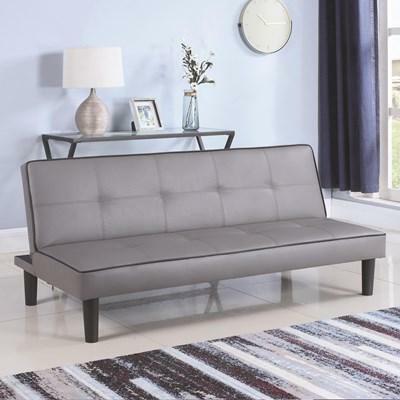 With tufted back and seat, this contemporary sofa bed from Coaster Furniture features contrast stitch and piping along the edges. 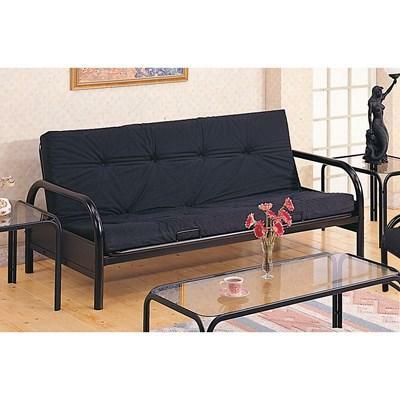 Can be easily converted from a seating to sleeping area. 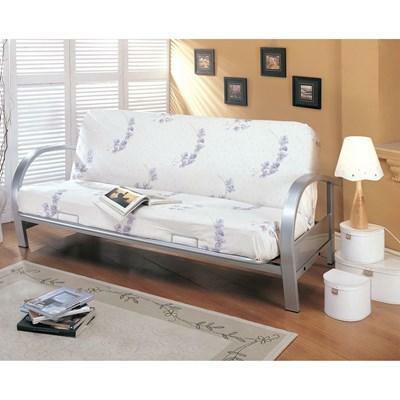 This transitional style Coaster Furniture futon is an all metal futon with the foot in nickel finish. 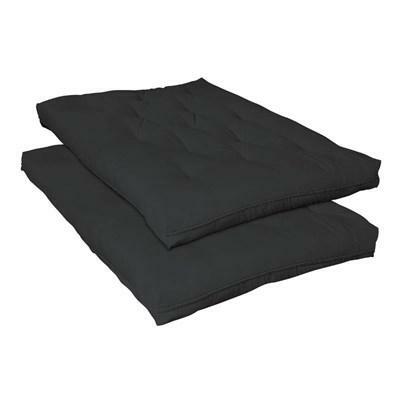 It features a back that bends down to make the bed. 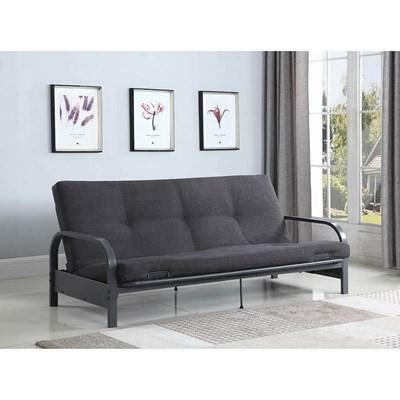 This gorgeous Futon features a padded tight back and seat cushion in light beige fabric, wooden weathered natural finished tapered feet. 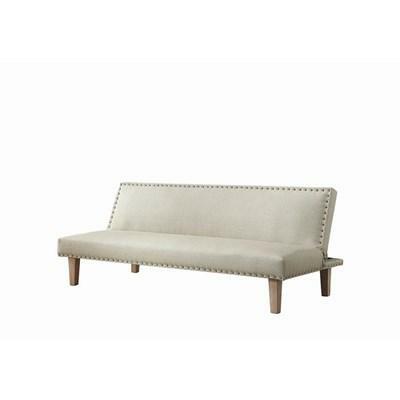 It is adorned with nailheads in an antique brass finish. 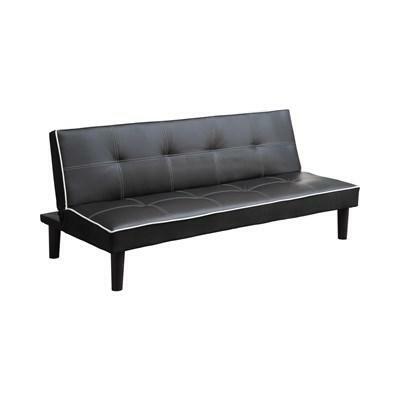 This contemporary design Coaster Furniture futon features black leatherette upholstery and unique red stitching. 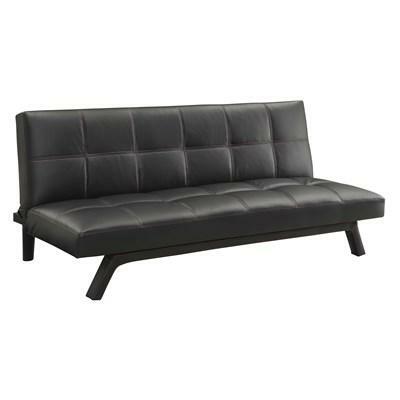 Thick cushion offers comfortable seating which can be turned into a sofa bed when needed.